The Mettler Toledo BC-6L (replaces PS6L) parcel scale weighs both letters and packages to the required resolution. The BCA‐222‐6LU‐1501‐110 meets USPS accuracy specifications for 70 lb counter scales. Capacity: 0-10 lb. x 0.1 oz / 0-70 lb. x 0.2 oz. / 0-150 lb. x 0.5 oz. The BC-6L Scale is an ideal choice for letter and parcel processing in retail shipping counters, corporate mail rooms, and carrier shipping systems. It is compatible with mail systems from USPS and shipping systems from FedEx, UPS, DHL. Purolator and many others. 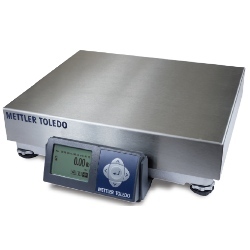 The Mettler Toledo BC-6L (replaces PS6L) Scale weighs both letters and packages to the required resolution. Meets USPS accuracy specifications for 70 lb counter scales. The BC-6L Letter/Parcel Scale is a popular scale for weighing letters and parcels. With it’s 150 pound capacity and rugged design, it is an ideal choice for today’s mailer. It connects easily to a PC and is compatible with many Mailing and Shipping Manifest Software applications (check w/ your software provider first to make sure BC-6L is compatible). The BCA‐222‐6LU‐1501‐110 is NTEP certified so it can be legally used in commercial applications. The National Type Evaluation Program (NTEP) imposes rigorous standards that ensure the high accuracy and reliability of the scales that bear their mark. Mettler's patented GEOCAL™ calibration feature eliminates the costly need to have the scale site-calibrated. 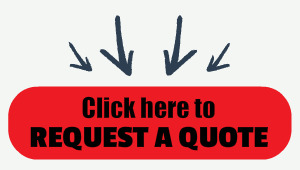 Competitive offerings require certified technicians to calibrate their scale on-site. GEOCAL™ ensures accurate calibration without hiring an expensive technician. The PS6L features an easy-to-read, large LCD display with viewing angle adjustment.